What do you usually do when you have problems with a product or a service you have recently purchased? Sure, you want to talk to representatives of a producer/provider of a service. You cannot meet managers or company CEO in person, so, you need to call a customer support center. As a rule, big companies maintain own call centers to answer customer’s calls and provide them with support and guidance. Much depends on how you talk to a call center representative. If you made a call but your problem was not resolved you will have a bad feeling about such a company. It may happen that you leave this company and go to competitors. If you are a potential customer you will forget about it just after you hang up. So, as you can see a call center is an important element in the business structure. 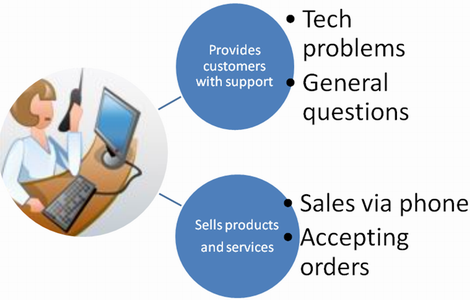 Many companies use call centers to accept orders and sell products/services. But most often call centers provide customers with support. It is imperative that you regularly evaluate call center performance. Why do you need it? Well, your call center may seem to work normally, while in reality you suffer losses or losing customers because of imperfection in the work of a customer support service. There are many factors and aspects that influence work of a call center. It is very difficult to evaluate them without proper software solutions. Balanced Scorecard is an effective tool to evaluate call center performance. 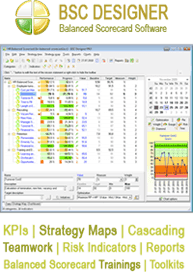 This software measures certain indicators, commonly known as key performance indicators (KPIs). Call center metrics has own set of KPI which influence call center performance directly or indirectly. Balanced Scorecard will make it possible to a manager discover weak points in the work of a call center. Thus, you will be able to find problems at different stages: answering calls, finding solutions, making an effective use of IT technologies, saving costs etc. What are the most important KPIs to be evaluated? Without any doubts, this is cost per call. You need to spend some money to answer one call (wages, expenses for equipment, rent, power expenses). If your calls are too expensive you will suffer losses and run your company into bankruptcy. Think of efficient telecom solutions, and organize your work in an efficient way. When talking to customers, your call center operators need to answer all questions and solve any problems that customers might have with the product/service. Customer satisfaction is something a call center manager needs to take care of.